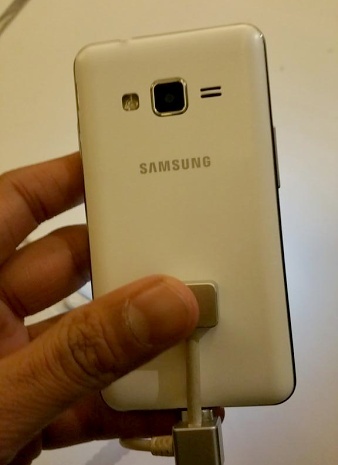 A new leak allows us a closer look at the first Tizen-based smartphone from Samsung. 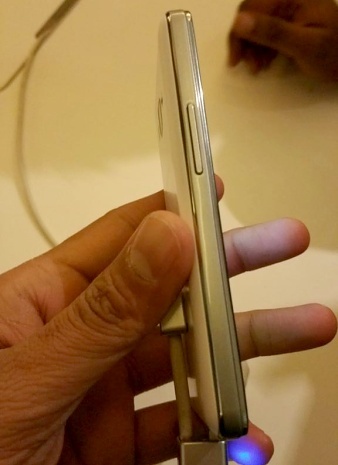 The entry-level Samsung Z1 is expected to launch next month at a price of roughly $90. During the past few months, the Samsung Z1 has often captured the attention of the tech blogosphere. More recently, we've seen an abundance of Samsung Z1 leaks, which is likely a sign of the fact that the smartphone will soon be launched in developing markets. Today a tech blog from Russia published a new set of leaked images, allowing us another close look at the Tizen-based Samsung Z1. The Samsung Z1 will feature a 4-inch display with a resolution of 800 by 480 pixels at a PPI of 242. Rumors claim that the smartphone will draw its processing power from a dual-core processor clocked at 1.2GHz and 768MB of RAM. At the moment we don't know the exact chipset model, but chances are that the Z1 will come with a low-power, energy efficient SoC. In the camera department, the Tizen-based smartphone is rumored to come with a 3MP primary camera with LED flash, and a 0.3MP secondary shooter. Other rumored specs include a 1500mAh battery, 4GB of integrated storage space, a microSD card slot, 3G-compatibility, Wi-Fi b/g/n, Bluetooth 4.0, GPS, and and FM radio. These specs won't impress any smartphone enthusiast, but that's not what Samsung is aiming for. 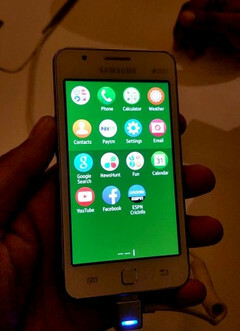 The whole point behind using Tizen as a mobile operating system for smartphones is to allow the manufacturing of cheap smartphones aimed at developing countries. The Samsung Z1 is expected to cost under $90 unlocked, a price that's usually reserved for feature phones. Samsung is rumored to unveil the Z1 on January 18. India will be the first market to get the affordable handset, with China and South Korea expected to follow later in the year.